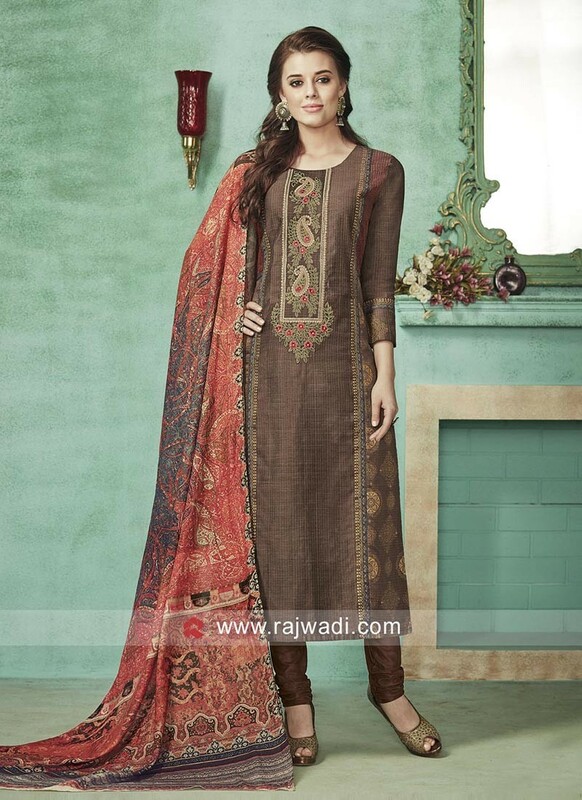 A Dark Coffee color Cotton Silk fabric Salwar Kameez has resham and zari embroidery on it. 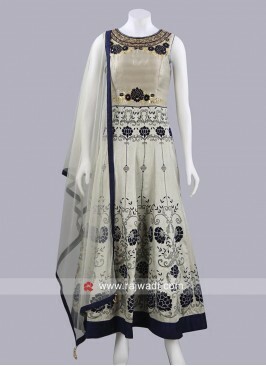 Comes with Lycra bottom and Rayon Silk contrast designer dupatta. 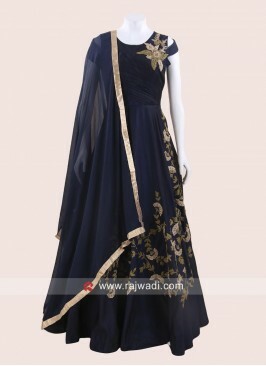 Navy Blue Taffeta Silk An..
Block Print Cotton Silk P..